This new Harmony Builders home in Jessup, Maryland, was recently purchased by clients of Jerry Kline, realtor, Keller Williams Flagship of Maryland. Congratulations, R.J. & Armine, on the purchase of your newly constructed single family home in Jessup! Built by Harmony Builders, the home features 4 bedrooms, 2.5 bathrooms and a wide-open floorplan on the main level. Situated at the end of a quiet cul de sac in a new mini-subdivision, the home boasts a 10-year builder’s warranty and is centrally located to the buyers’ friends, family and employment. Jerry Kline worked with the couple for several months to find just the right home. From scouting the lot to reviewing the contracts to selecting the home’s options to monitoring construction, Jerry and the buyers worked hand in hand to ensure a hassle-free purchase. If you or someone you know is looking to buy or sell a home in the greater Baltimore/Annapolis/Washington, D.C. area, contact Jerry Kline of Keller Williams Flagship of Maryland (443-924-7418) today! As an active realtor in the Fort Meade, Maryland, area, I get calls and emails all the time from families needing to relocate to this area from all over the world. Active-duty military personnel and others moving to work at Fort Meade often know nothing about living in the Baltimore/Annapolis/Washington, D.C. triangle, and one of the first questions many ask is about the quality of schools near the military installation. As with almost any area, school quality in and around Fort Meade can vary greatly depending on neighborhood. Below is a list of the top-ranked public schools in the communities directly surrounding Fort Meade -- namely, Odenton, Severn, Jessup, Hanover, Gambrills, Laurel and Crofton. For a free list of homes for sale or rent in an individual school district, contact me by phone (443-924-7418) or email (JerryKline@kw.com). The school ratings provided below are taken from GreatSchools.org, the preeminent online school-rating website. GreatSchools.org compares schools based on test scores and other available data, including student academic growth and college readiness. 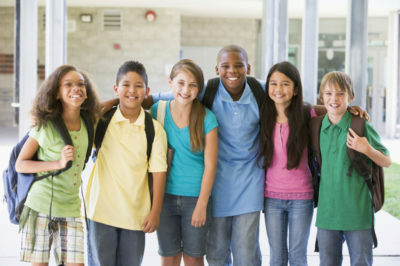 Greatschools.org also provides school reviews written by parents, teachers, students and caregivers who have had recent, direct experience with their school to share its strengths and weaknesses.